My dear friend turned 40, and I wanted to create delicate cherry blossom cupcakes for her. You can find edible flowers on Amazon to decorate your cupcakes if you do not want to make them. 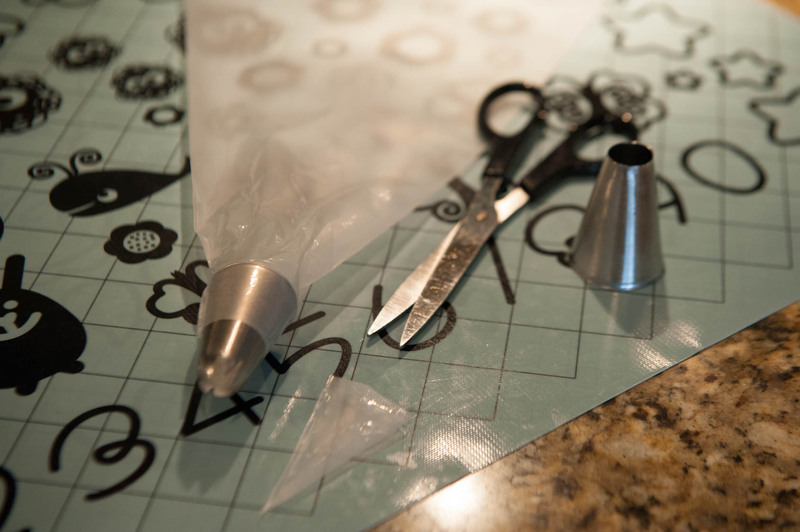 Now let’s talk cupcake wrappers… Be adventuresome and try a color other than the traditional white cupcake wrappers. For the cherry blossom cupcake, I chose brown cupcake wrappers. 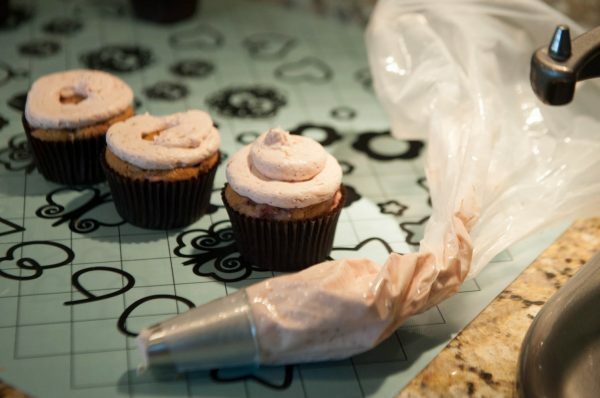 Try piping on your cupcakes for a more elegant look. I promise that it’s not that difficult, and I will show you how it’s done (plus once you get the hang of it, it’s so much faster to frost your cupcakes)! 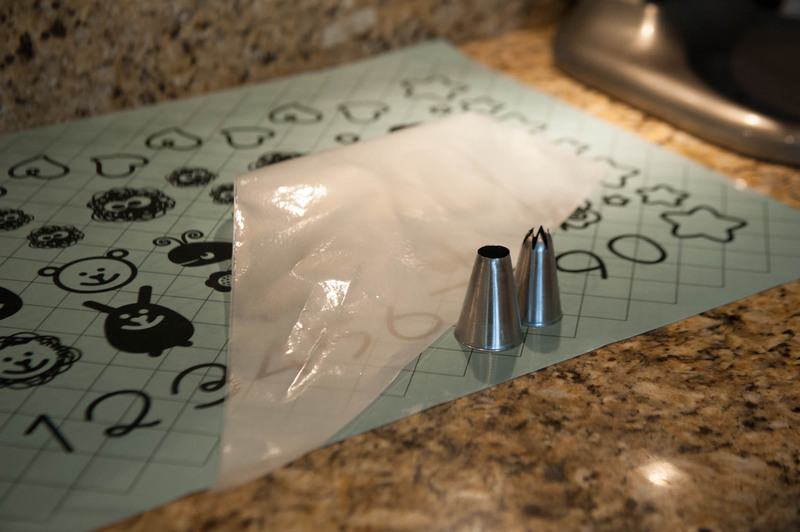 Start with a large and non-slippery piping bag (my favorite kind is linked below). 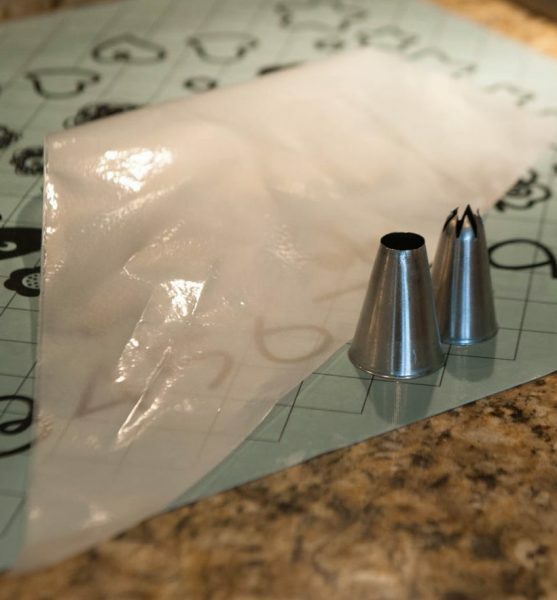 Then select the metal tip you would like to use for your project. 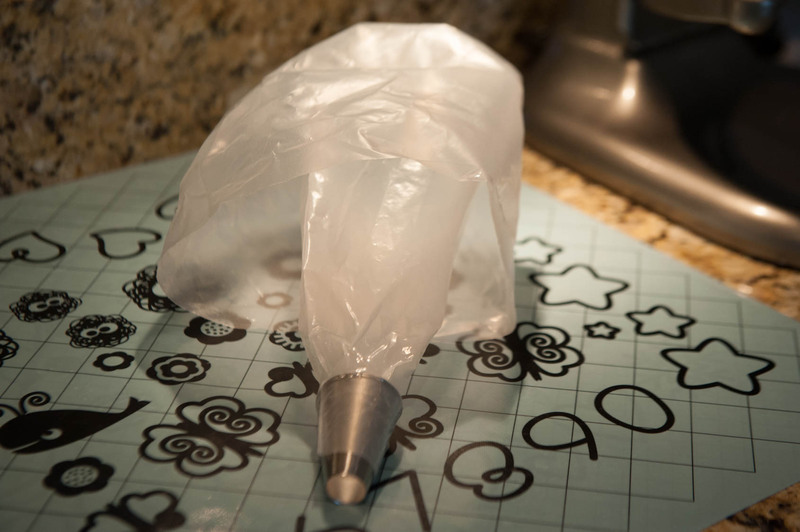 Place your tip in the piping bag to see where you need to cut your bag. You can see I have marked my bag where I need to make my cut. 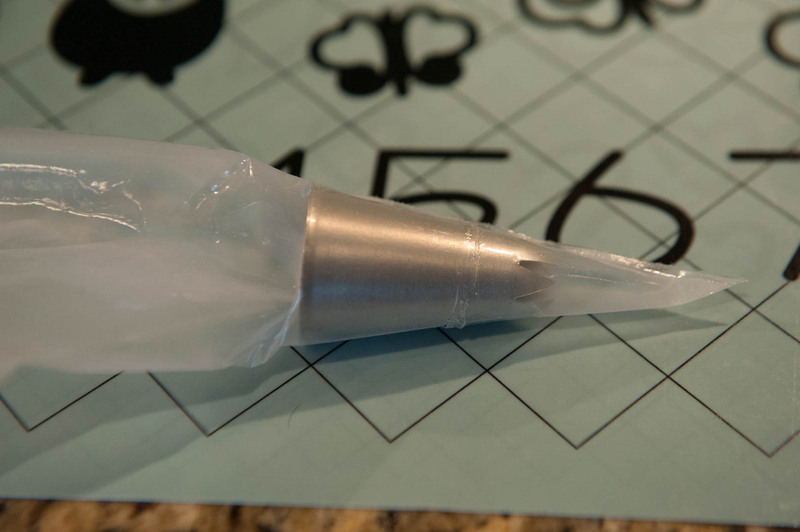 Pull your tip back, make your cut, and reposition your tip through the bag. You will see I have a star tip and a circle tip. 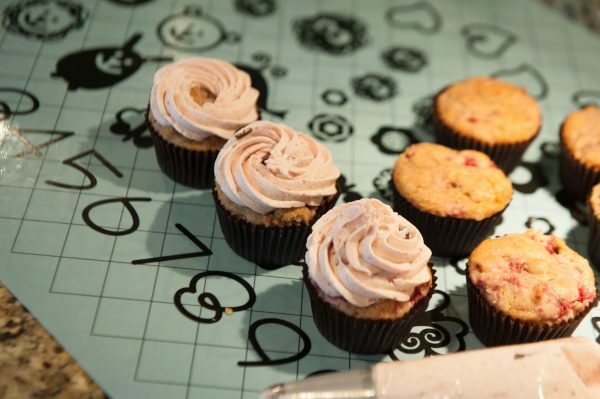 Each tip gives a certain look to the finished cupcake (you will see that later). The round tip that I used is an Ateco 808. The star tip that I used is an Ateco 826. 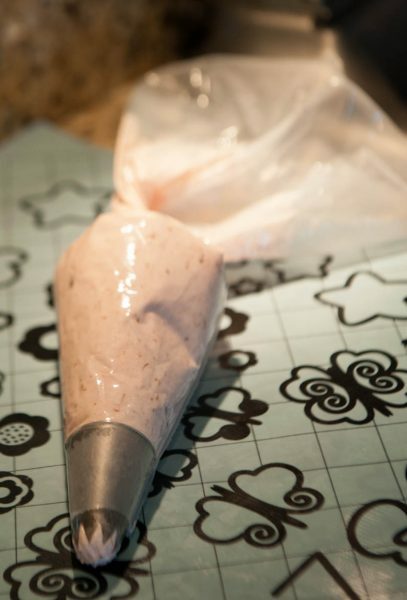 Pull the top of the pastry bag down so that you can place your hand inside to fill your bag with frosting. Try to keep the frosting towards the bottom of the bag so it’s not so messy (another reason why I like bigger bags so there is more room for the frosting). 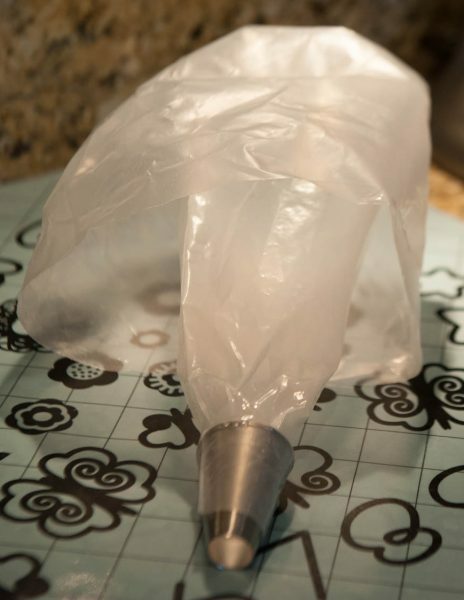 You can also place the folded over part of the bag in a glass cup (this will keep your hands free). If you use the star tip you will get this look when you pipe your frosting. Grasp your hands right where you twisted your bag and hold it upright. 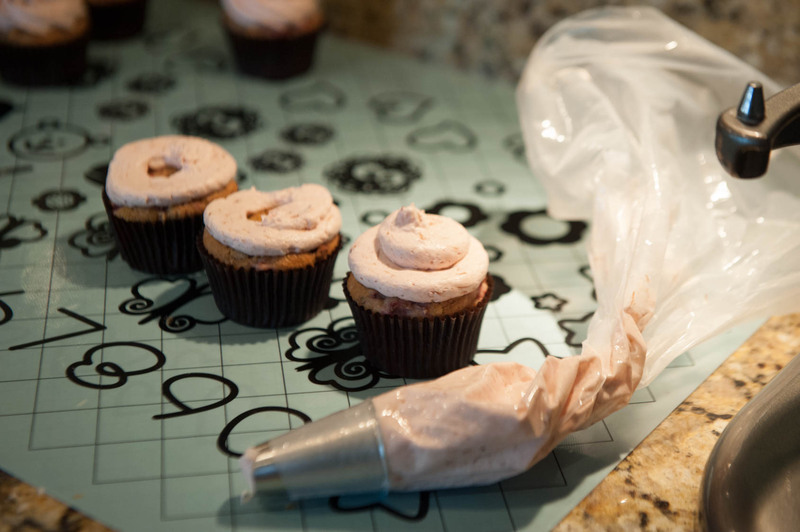 While applying pressure pipe a circle around the cupcake top (as show in the cupcake in the far left). 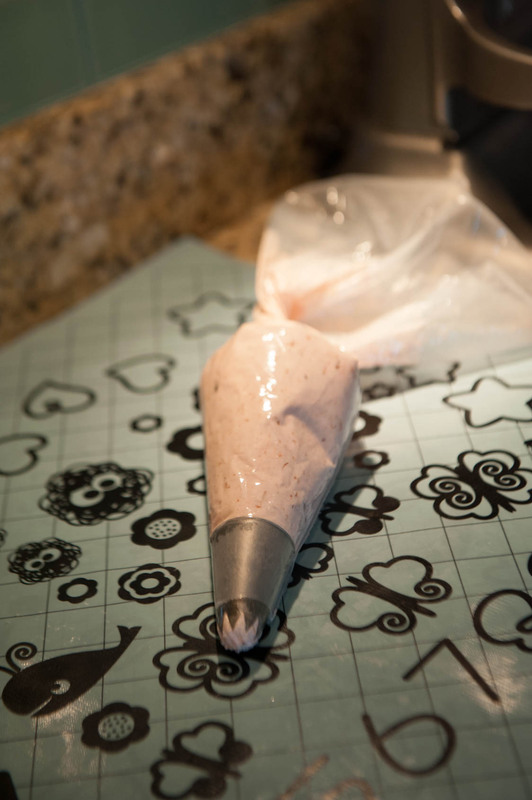 Continue your swirl making a smaller circle within the bigger circle. 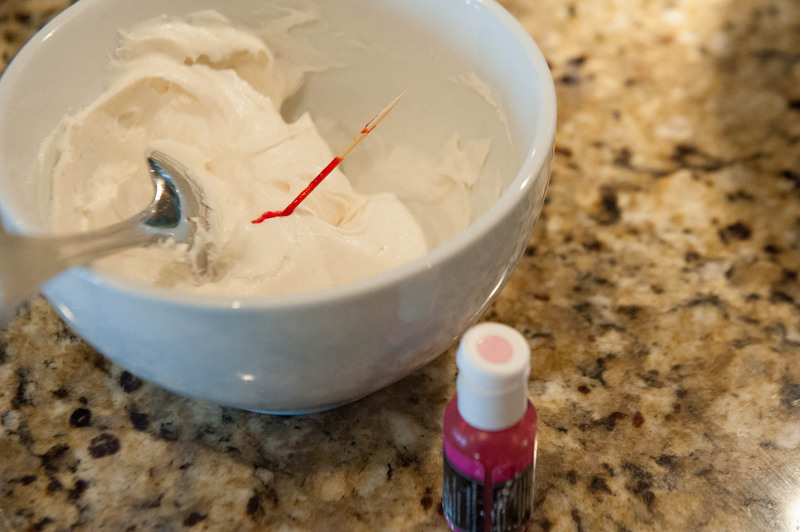 Once you get towards the middle, release your pressure to create the tip of frosting. 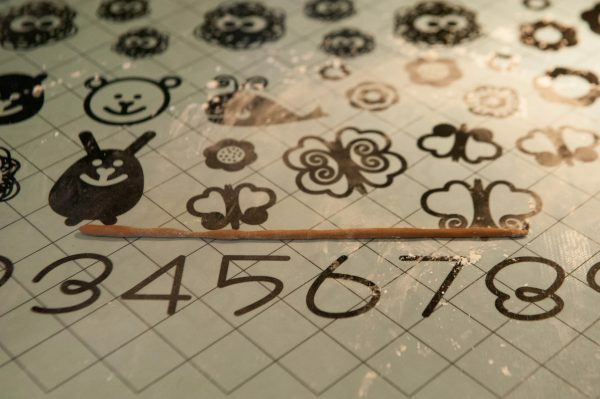 The same technique can be used for your circle tip for a different look. Now on to the fun part… the decorations! 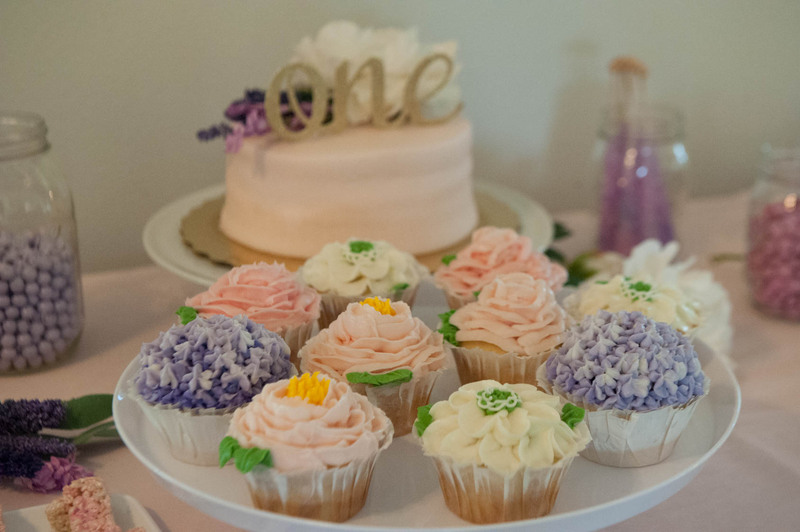 Decorate the cupcakes using sprinkles, edible flowers, a complimentary flavored sauce, or fondant toppers. I will link some pre-made decoration ideas at the bottom of this post. Unicorns are SO popular now. You can purchase a kit from Amazon below to recreate these cupcakes. 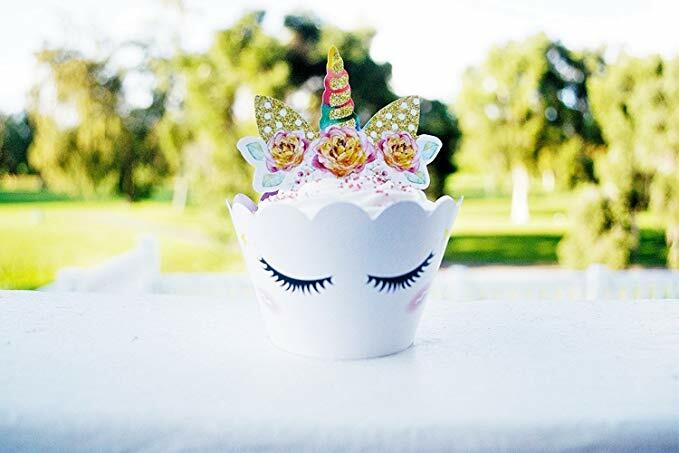 All you have to do is frost the cupcakes, add the paper unicorn decorations, add some unicorn dust (aka sprinkles) and then you’ll have instant unicorn cupcakes! 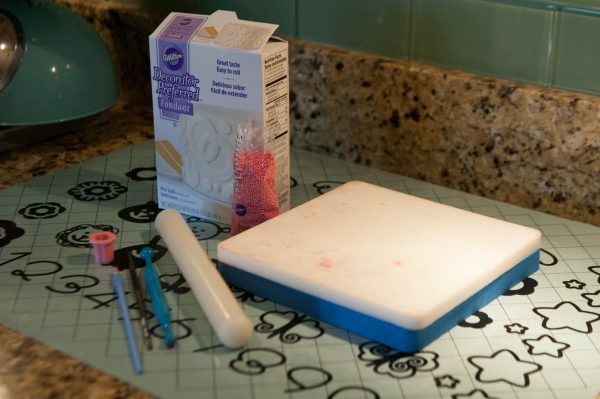 I will also link a simple idea for a unicorn cake as well using reusable unicorn embellishments below. 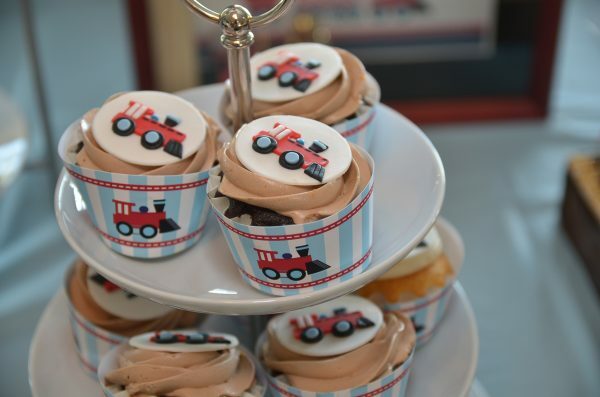 These train cupcakes are an example of using pre-made fondant toppers found on Etsy here. If you do a search for fondant toppers for cupcakes, you can find examples of creative ways to embellish your cupcakes! 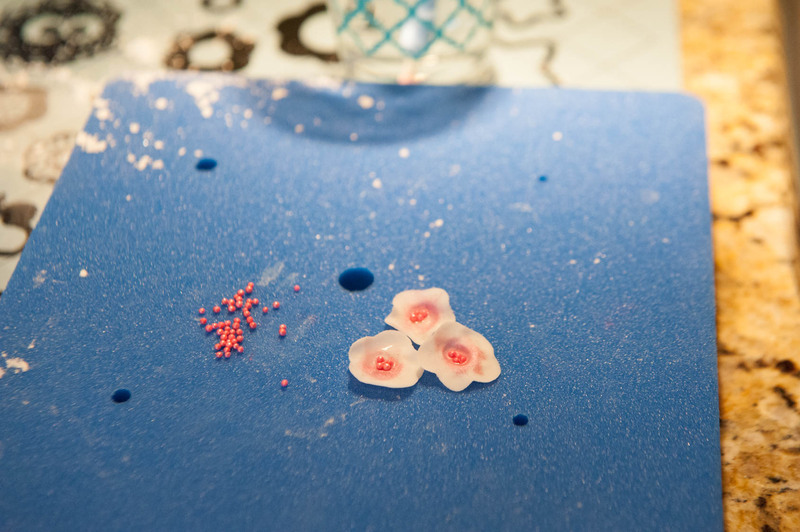 These steps show you how to make the cherry blossoms. 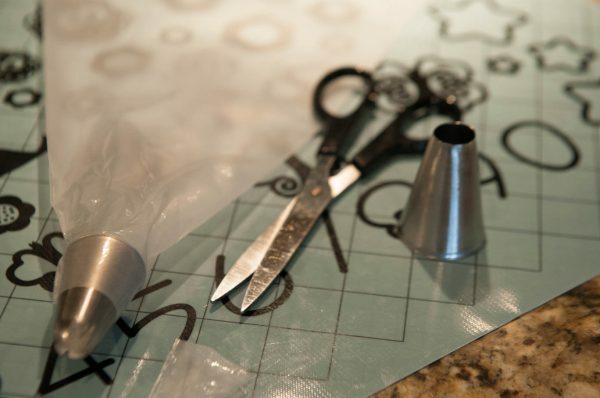 If you decide to purchase your flowers or other embellishments, you can skip this section. 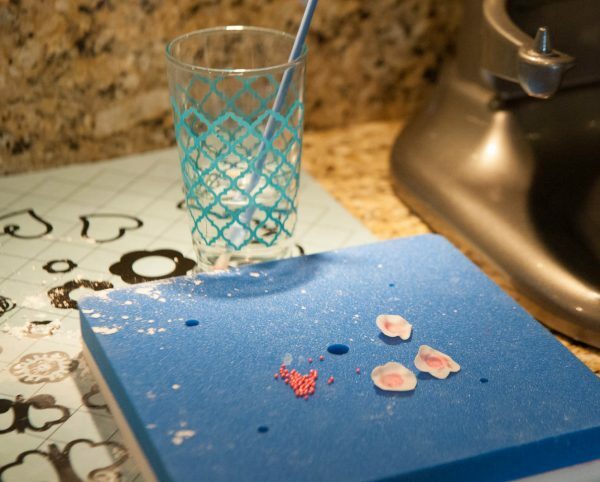 Above you will see all of the tools that I need to make my fondant flowers. I call fondant Mama’s play dough! It’s SO much fun to work with, and I also love the smell of it. Pre-made fondant can be found on Amazon below or at your local craft store. 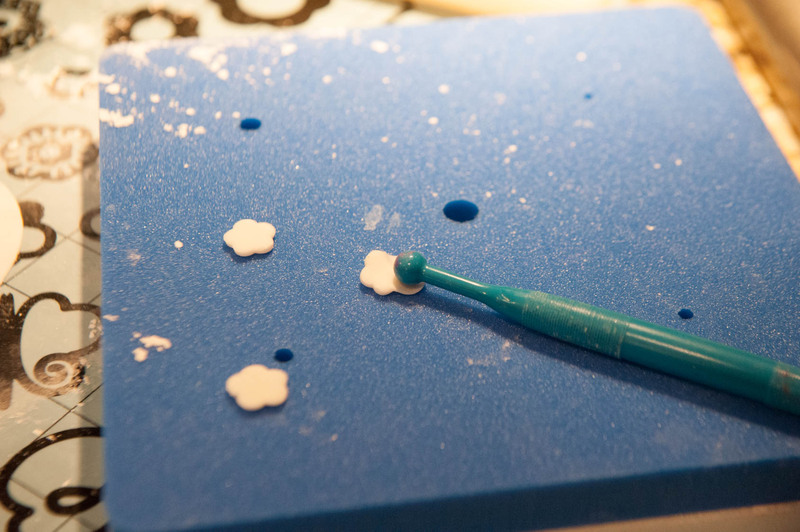 If you enjoy making these fondant flowers you can learn more in this Craftsy class called Handcrafted Sugar Flowers. When you first take out the bag it will be pretty stiff. 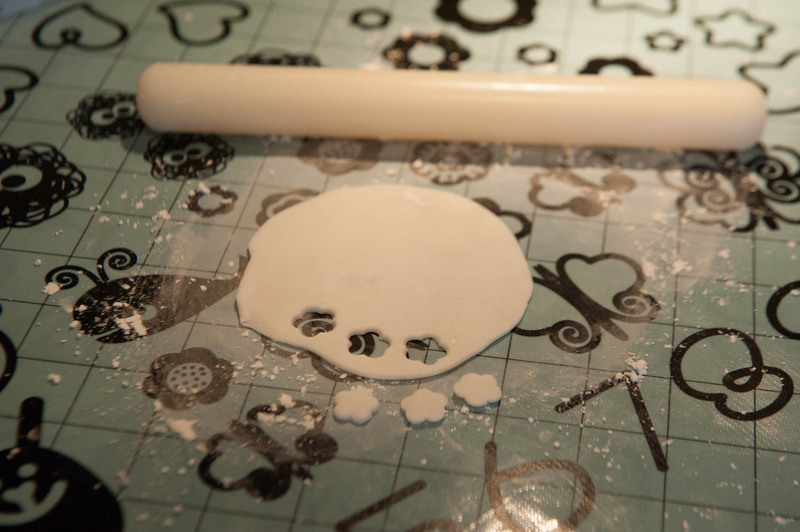 You will need to knead your fondant a little bit to make it more pliable. 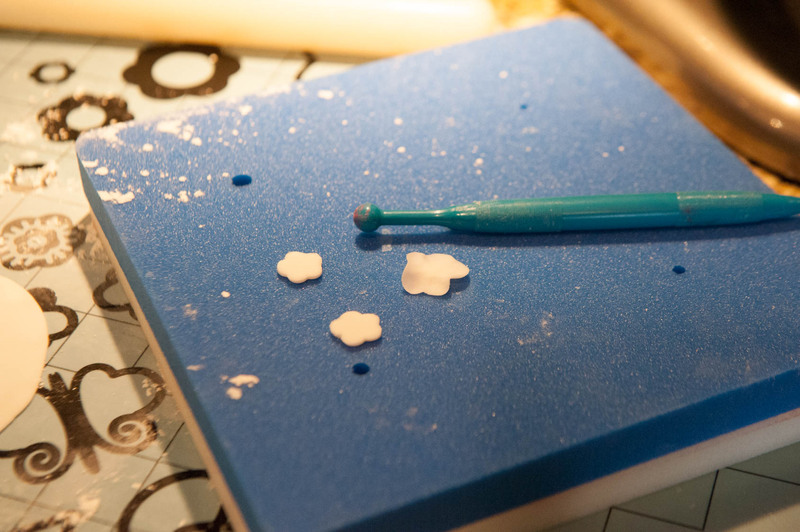 I have spread a little bit of powdered sugar down so that fondant does not stick. Roll out your fondant and then cut out your cherry blossom flowers. 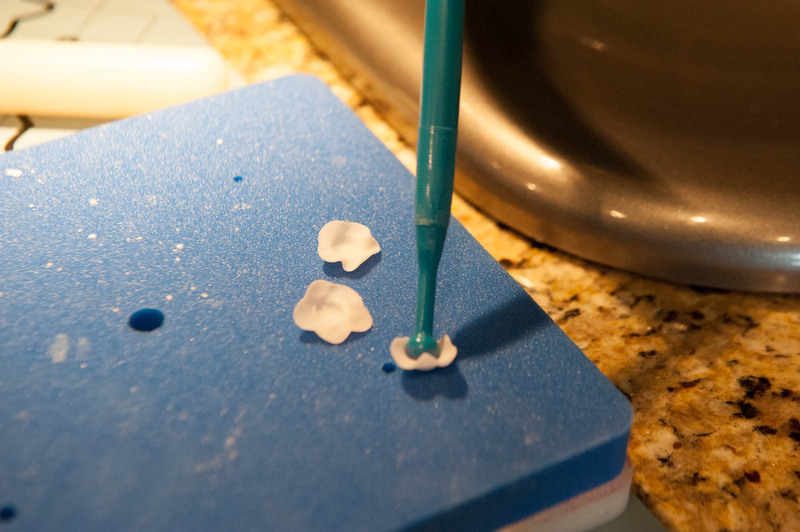 Working with one petal at a time, roll the ball from right tip of the petal to the left side. This will give your petals a more natural look. You will want to roll your ball on something soft like this foam pad. I will link the foam pad and ball rolling tool below. 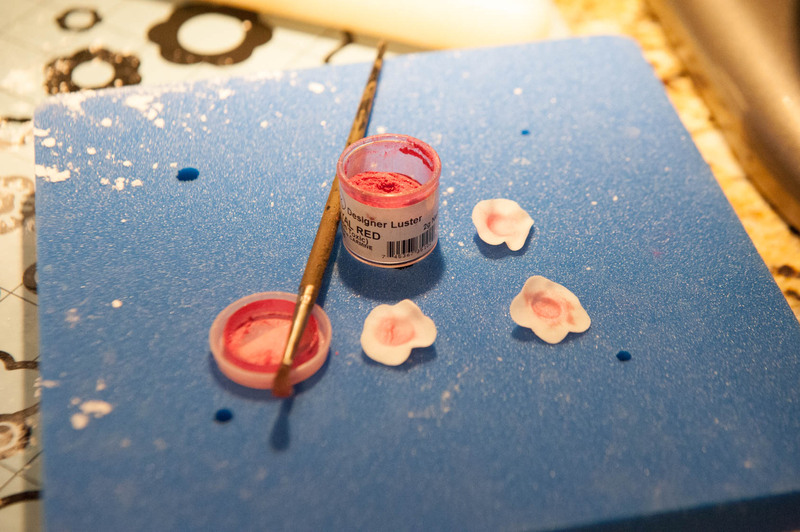 Press the ball tool in the center of the flower to create the inside of the flower. 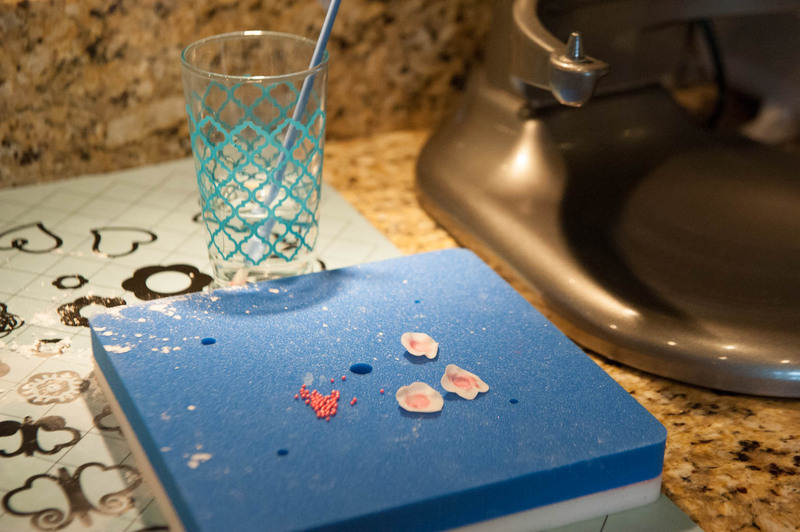 Paint a little bit of pink luster dust in the center of your cherry blossoms. 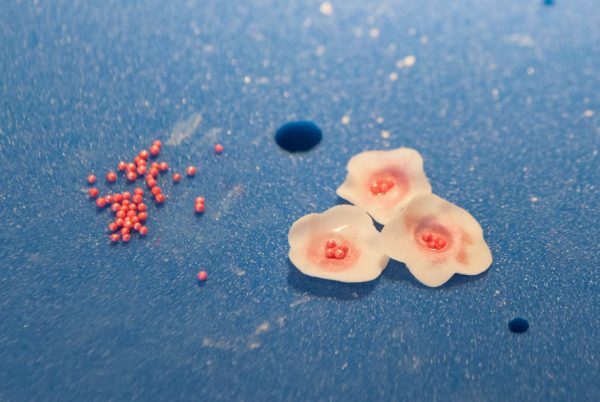 Paint a little bit of water in the middle of your flower so that the pink pearls will attach to your flowers. You can dye your fondant different colors by kneading in whichever color you desire (I will have links below for the dyes that I use). 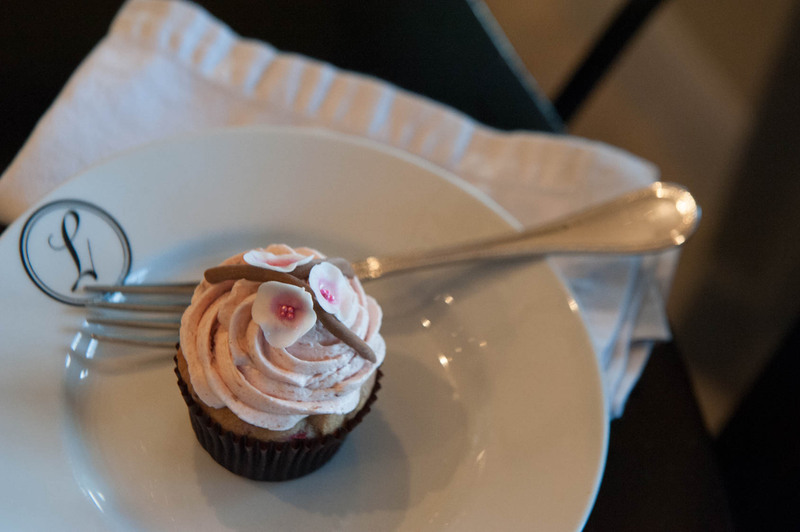 Roll out your brown fondant to make the cherry blossom twigs and place them on top of your cupcake. I placed two twigs on each cupcake and then placed two cherry blossoms on top of the twigs. Want more cupcake inspiration? Check out my second post about cupcakes coming soon! Woah! I’m really digging the template/theme of this site. It’s simple, yet effective. A lot of times it’s challenging to get that “perfect balance” between superb usability and visual appeal. I must say that you’ve done a excellent job with this. Also, the blog loads extremely quick for me on Safari. Exceptional Blog! Thanks Cassie! I have a lot of party posts under festivities as well. you make it sound and look so easy to do! I love those cupcake designs. Anyone can do these techniques with some practice! 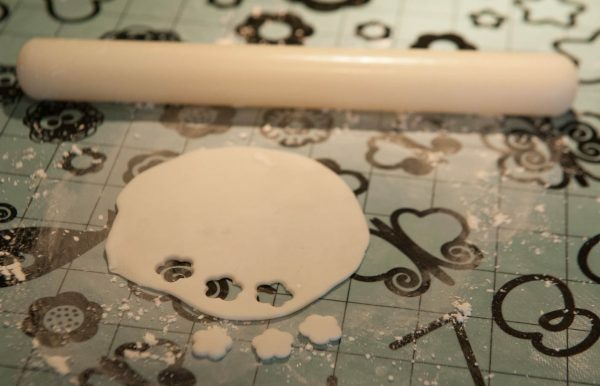 I used to practice my buttercream techniques on a sheet of paper towel. These are all so beautiful. I need to be brave and try having some fun when decorating. You can do it! The great thing about buttercream is that you can actually scrape it off the cupcake and try again. It is a really fun a gratifying hobby for me.